As we write this editorial, we have before us four special issues of Canadian Literature that have been dedicated to Asian Canadian literature. In the 1990s, special issues were published on “South Asian Connections” (132, 1992) and “East Asian-Canadian Connections” (140, 1994). In editorials published in both issues, then-editor Bill New grapples with the object posited by the topics at hand. On the one hand, writing by or about South and East Asian Canadians has yielded a significant but neglected body of work. On the other hand, New is acutely aware that these very categories may be misleading, incomplete, or even complicit in the histories of racism. 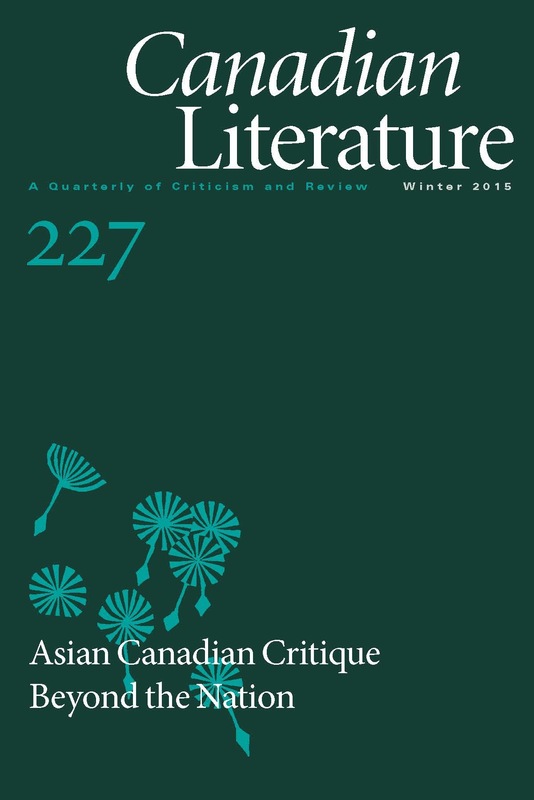 Writing about Asian characters in Canadian fiction, he says, “human sympathy can sometimes still function as a barrier, expressing solidarity at one remove; sometimes it is an act that conceptualizes itself as generosity rather than as a tacit declaration of identity—because fundamentally it assumes that the norms of the cultural ‘inside’ will never change” (New 6). Liberal acceptance and national belonging are only partial solutions as they respond to racism while leaving structural exclusions intact.